The Creative Music Foundation is acting as the nonprofit ‘fiscal sponsor’ for CMS alumnus Sylvain Leroux’s project to teach music to children in Guinea, West Africa. CMF is taking tax-deductible donations for the ‘l’Ecole Fula Flute.’ Read Sylvain’s story of how he started the school and the progress it’s made. 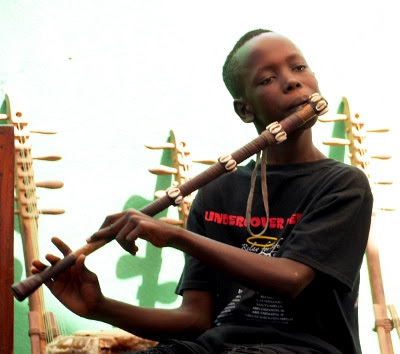 Something very special has been happening in Guinea and l’Ecole Fula Flute has taken a life of its own. This entry was posted in Africa, Music Activism, NY Musicians and tagged Fula Flute, Guinea, l’Ecole Fula Flute, Mulatta Records, Sylvain Leroux, The Creative Music Foundation on November 20, 2015 by Sohrab Saadat Ladjevardi.